Over the weekend, Niantic, creators of Pokémon Go, pushed out an update for the beloved app. It offers a host of changes, from fixing the much-maligned "three step glitch" to more cosmetic changes like the ability to edit your avatar. It should be simple enough. Somehow, it wasn't that simple, though. In fact, a lot of people really hate the update to the point where they're deleting it and finding ways to take action against the game's creator. The Pokémon Go subreddit, once home to Pokémon Go war stories and loving Pokémon memes, has turned into a post-apocalyptic wasteland of dumpster fires and angry commenters. Here's a look at how people are taking the update of an app for their phone. Comment from discussion Pokemon Go Update - iOS 1.1.1. There are a lot of things people are upset about. The biggest rage-inducer might be that tracking sites like Pokévision have been shut down by the new update. Turns out walking around with your phone on non-stop drains the battery pretty quick. The removal of the battery saver mode has incurred the ire of many, but they're unable to make comments about it because they saw a Vaporeon and chased it before making the comment, and now their phone is dead. Comment from discussion Making the game more difficult isn't making the game more fun.. The update changed the base stats for many Pokémon attacks. Notably, Vaporeon has been "nerfed" (as is explained thoroughly here). THIS POKEMON UPDATE IS CRAP, I HAD AN AWESOME VAPOREON NOW IT GOT NERFED! Even small graphic changes like the look of the Pokéballs have some people raging. Pokémon GO Players: We really hate the tracking glitch. Niantic: Let's release an update to let them change their avatar's hair color. Even making a joke about updates is making people flip over tables. These are reactions from one Reddit user making a joking Photoshop about the update that maybe fooled a few people. Comment from discussion So, I guess this is the reason Niantic removed the steps all together?. All of this added up to users on Reddit rallying to tank the app's rating on app stores. It's currently down to one-and-a-half stars in the iTunes store. The Pokémon Go subreddit is reveling in it. This post comes from a thread titled "We did it boys. 1 1/2 stars on the App Store." Comment from discussion We did it boys. 1 1/2 stars on the App Store..
One user put together a post that was quite useful for anyone so moved by the update that they wanted to take action against Niantic. For most that meant trying to get a refund for in-app purchases (and many are reporting that they got it), but users across the internet have reported that there's an auto-response from the Niantic support email that says that they don't monitor that email address. Ignore the Redditors at your own peril. This thread with instructions on how to report them to app stores for violating terms of service (not having a support line) got fiery. Eventually the Pokémon Go subreddit moderators had to shut down the comments for fear that "a lot of the comments in this thread have been breaking Reddit's [site-wide] rules against brigading and witch-hunting." Comment from discussion Niantic's refusal to accept support emails is a breach of Android T&C. Here is how to report them!. I hate that everyone is starting to dislike Pokemon Go, because regardless of the update, I'm still really into it and now I feel alone. 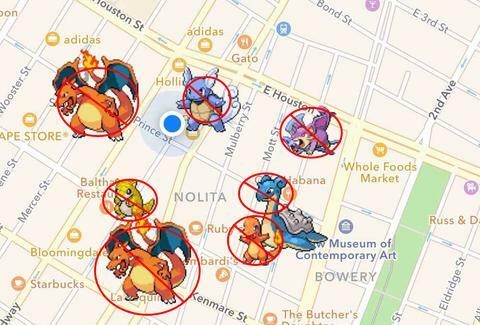 Some users are reporting that all their Pokémon are getting deleted when they update the app, and maybe that's not all bad.